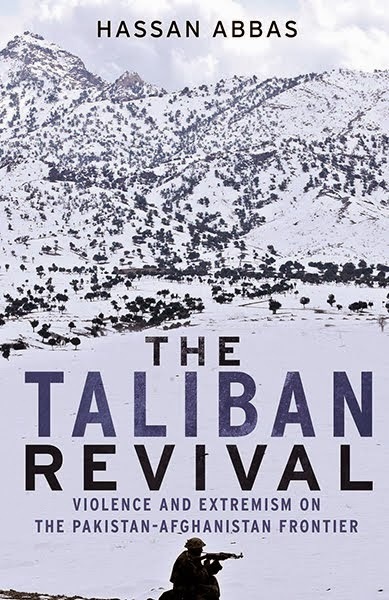 The Army has bought all copies of a book written by a former intelligence chief fearing it may explode the myth victory in the 1965 war with India, a source has said” , thus reported Amir Mir for Gulf News on 01 October 2006. Although not wholly correct this was a brave job of reporting the prevalent intellectual dishonesty par excellence in Pakistan. 22,000 copies of a book earlier cleared for publication and distribution by the Army Book Club were thus wasted and assigned to dusty store rooms.All so that the truth remains enchained and suppressed , even when written by a three star general without whom Musharraf would have been behind the bars on 12 October 1999. The book was however not titled The Myth of 1965 Victory, as claimed by Amir Mir but History of Indo Pak War 1965. Another Pakistani analyst Hassan Abbas claimed that Mahmud had requested Musharraf for a job and this may have forced him to drop the title Myth of 1965 Victory.Military history being distorted here to get a job in a fertiliser corporation called FFC.Mahmud must have relented but even then his half truth was not seen as fit for publication by Musharraf after earlier agreeing to have it published ! Indecisive we are at the cost of Pakistani taxpayer. The book was not published by Oxford University press as Amir Mir claims but published by Services Book Club of Pakistan Army and only produced by Oxford University Press. 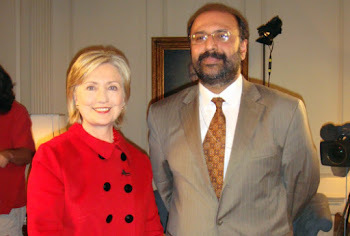 Amir Mir states that the manuscript was submitted by General Mahmud as per the rules in vogue . Are there any ? This is news ? Mahmud submitted the script to the GHQ because the book was sponsored by GHQ as the fact that it was published by Services Book Club ! The sources said that General Mahmood Ahmed had submitted the manuscript of his book to the GHQ as per the rules in vogue. The fact that the book was published with the Services Book Clubs consent and then not distributed in the three services proves that someone at the highest level had a second thought that Mahmud was committing blasphemy ! Criticising Pakistans most infallible organisation and Mahmuds criticism however correct needed to be buried in the best Pakistani tradition of burying the truth ! Amir Mir claims in his 2006 article that General Mahmud tried to get a few hundred copies for his own library but could not get permission from the GHQ.This is not correct.Mahmud did manage to get at least a 100 copies . Mahmuds book heavily supported by the army in terms of cartographic efforts all maps made by the 477 Army Survey Group may in brief be described as heavy in tactical detail,sparse in operational analyis and barren in strategic analysis. Mahmuds book is not a solo effort .He thus states that it all started when the Pakistan Army decided to analyse 1965 war in 1976 (preface). Its major plus point is that it debunks many myths about 1965 war. Mahmud assesses Major General Akhtar Hussain Malik as an exceptional commander of his times (p.69). He assesses the Operation Gibraltar , infiltration in Kashmir a success in the sense that it successfully created a strategic opportunity for success of Operational Grand Slam the Pakistani attack against Akhnur. He faults Pakistani high command with not launching a concentrated attack in Khem Karan and instead dividing its strength by dual attacks like Grand Slam and Khem Karan. Mahmud thinks that change of command in Grand Slam was a major faux pas and finds faults with Major General Yahya Khans conduct as a divisional commander (p.98). Whereas he ignores the fact that major failure of Grand Slam lay in the first two days when armour was divided into penny packets and artillery divided overextended as confessed by Pakistan Armys official military historian Major General Shaukat Riza in his book 1965 War. 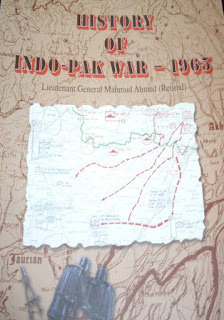 One reason why Mahmuds book may not have been distributed after being printed a typical Musharraf style change of decisions when high or not high may have been his daming verdict on Pakistan Armys main attack in Khem Karan.Mahmud thus summed up Pakistan Armys main attack in Khem Karan as “ In 1965 the situation in the Ravi Beas Corridor presented an opportunity of classic envelopment which would have been realised by any great captain of war .The Pakistan Army ,alas,had none in authority” (Page 303). On page 139 he states that Pakistani High Command regarded the international border with India as “inviolable”.This clears the myth that that it was ZAB alone who duped the naieve Pakistani generals into launching an offensive in Kashmir. On page 530 Mahmud debunks the much circulated theory of Pakistan being at a disdvantage in 1965 , thus he states “ The critical question is whether the Pakistan Army had the resources in 1965 to undertake the gigantic double envelopment pre-emptive offensive ? The answer is yes” ........but then Mahmuds goes on to elaborate Pakistans military strategic failure at the highest level when he states “ Had the military objective been perceived correctly and had the necessary planning been done thoroughly for such an offensive operation”. On page 532 he places the blame squarely on the higher level commanders when he states “ Pakistan Army’s conduct of operations in 1965 war was gravely marred by incorrect assessment of Indian strength,intentions and capabilities”. He credits the ISI with more clearly assessing Indian intentions but states that ISI’s assessment was not considered credible by the military higher command. On page 532 again he analyses this being the gist of his book titled “Epilogue” The price of our army’s ignorance of the operational art was exacted by the stalemate of 1965 and the ignonimous defeat in 1971”.This Mahmud ascribed to the fact that the Command and Staff College did not prepare commanders for command beyond brigade and divsional level. On page 363 and 364 Mahmud confirms the greatest intelligence failure of the war when the capture of Indian despatch riders mail confirming presence of Indian 1st Armoured Division was not taken seriously by both 15 Division Headquarters and GHQ. Major General Naseerullah Babar who I had interviewed in March 2001 had stated in the interview that the then DG Military Intelligence Brigadier Irshad had dismissed this as an Indian deception plan. It appears that Mahmud did not bother to interview Major General NUK Babar while he interviewed many officers who were of same seniority as NUK Babar ! Mahmuds book is an expanded version of Shaukat Rizas book 1965.Both are heavy on facts and poor in analysis although Mahmud tried to be more blunt , although if we believe Hassan Abbas his yearning for a post retirement job in Fauji Fertiliser Corporation may have heavily compromised the cause of military history in Pakistan. Many of the maps are not wholly accurate although prepared by a heavy brigade of serving officers from corps of engineers. Most important however is the treatment meted out to Mahmuds book despite his mild criticism wrapped in harmless sentences ! We are not prepared to accept criticism even when done in a book supported and sponsored by the military. How thin skinned we are to criticism even when based on facts made available to an insider ! If we in 2006 are not ready to analyse what happened in 1965 then God Help us in analysing more serious blunders committed after 1965 !